Unable to take the lakefront property by its accustomed means, Whirlpool took the land it wanted anyway. This travesty was accomplished through actions of the Michigan State appointed Emergency Financial Manager Joseph Harris. I had the privilege of interviewing the Rev. Edward Pinkney. Rev. 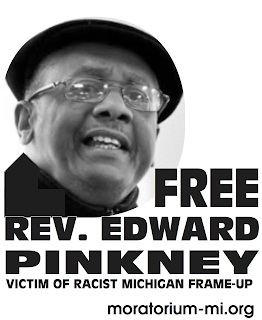 Pinkney gained national recognition for leading the impoverished, overwhelmingly Black community of Benton Harbor, Michigan in its fight against the corporate takeover by Whirlpool Corporation. The struggle highlights the growing fascist danger in this country that arises when government and corporations work together in the corporate interest, trampling democratic rights, and overturning democratically held elections. Once a thriving part of the Midwest, Benton Harbor sits on prime lake-front property near Lake Michigan. Whirlpool is the largest employer in the area. It has long held plans to take over this valuable land. In the early 1990’s jobs began to disappear. Production was shifted to lower wage areas in Mexico, or taken away by labor replacing technology, which caused massive unemployment in Benton Harbor. In 2003-2004 the former CEO of Whirlpool advocated for a $500 million marina/golf course complex that would take 530 acres of Benton Harbor, thus privatizing the city’s only beach. Rev. 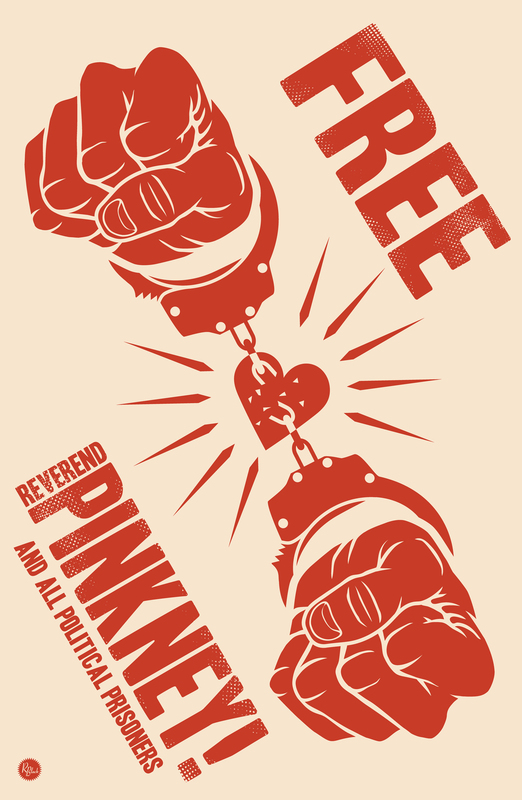 Pinkney and the community mounted a campaign to oppose the take-over, despite the stranglehold control Whirlpool had with six city commissioners favoring its plan. The campaign led to the successful recall of a key commissioner in Whirlpool’s pocket. Thereafter, in a staggering series of events, the recall was over-turned, Rev. Pinkney was charged with voter fraud, and he was acquitted. Then he was placed on parole after a second court of all white jurors found him guilty of hand carrying an absentee ballot. He was subsequently charged and convicted of parole violation. He was given 3 to 10 years for quoting the Bible in criticizing the judge and penal system for mistreatment of prisoners! This sentence was overturned by the Michigan Appellate Court. Since that fateful day in 2005 when the control of Benton harbor was challenged, the political landscape of Benton Harbor had changed. In 2008 four commissioners favorable to the Benton Harbor Community have been elected, effectively breaking Whirlpool’s stranglehold control. Unable to take the lakefront property by its accustomed means, Whirlpool took the land it wanted anyway. This travesty was accomplished through actions of the Michigan State appointed Emergency Financial Manager Joseph Harris. By the authority of the new state law an EFM can be a person, corporation, or person beholden to a corporation. Thus Benton Harbor, Michigan became the first victim of Michigan’s new Emergency Financial Manager law (EFM), but it likely won’t be the last. Already 5000 teachers in Detroit have been laid off, in violation of their union contracts. The case of Rev. Pinkney and his continuing battle with the corporate control of Benton Harbor has tremendous implications for the rest of the country, given the state budget shortfalls. At issue too is the fact that many corporations do not pay taxes. This article is excerpted from a longer version published in the Sept-Oct. edition of the Tribuno del Pueblo. 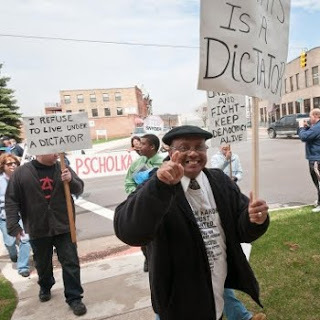 We are still fighting for justice against Whirlpool and the Emergency Financial Manager in Benton Harbor. We might be driving the EFM out of town. We need to keep up the fight.